At quarter after nine at night, no less! 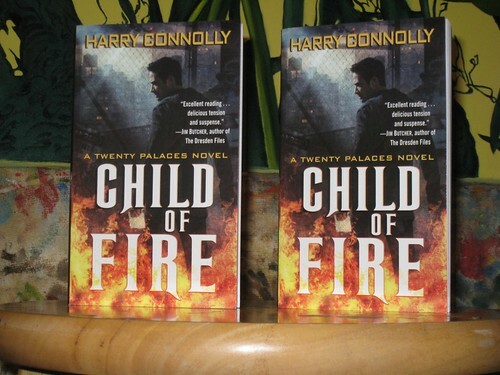 It’s the real and final version of Child of Fire, fresh from the press! I love that they added “A Twenty Palaces Novel” to the cover. Also, the top and right side of the letters in the title have a thin orange highlight to them. While I love the shadow behind my name, that orange highlight makes it look like you could cut your fingers on the corners.